Single bowl 20 gauge stainless steel topmount sink. Includes faucet ledge with a 4 hole faucet drilling. Rear drains to allow for more storage below. Sink bowls are easy care satin finish and deck is bright mirror finish. Sink includes waste fittings and is backed with a Limited Lifetime Warranty. 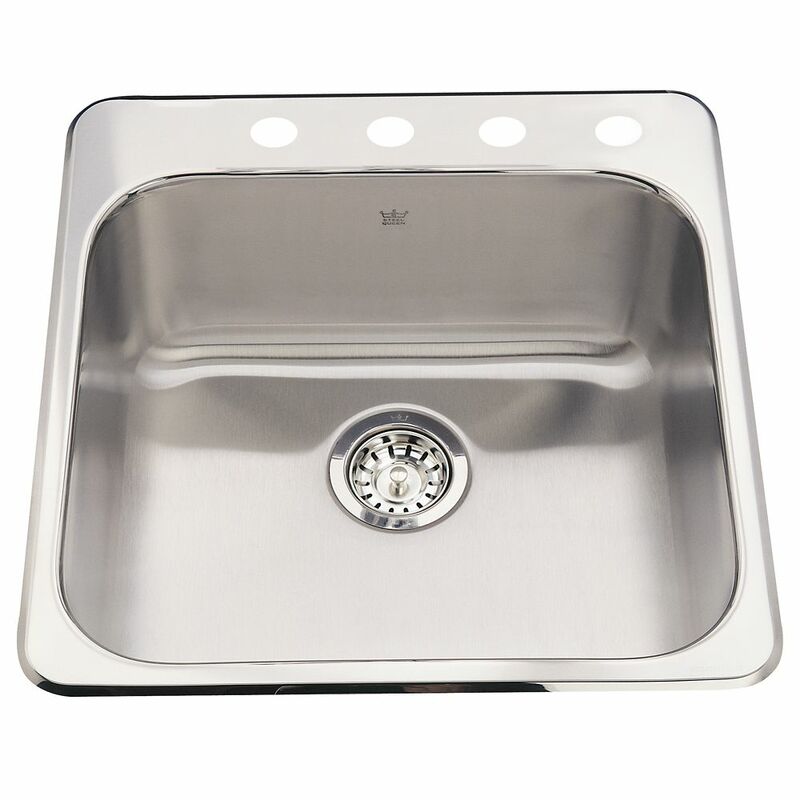 Single 20 Ga 4 hole drilling Single bowl 20 gauge stainless steel topmount sink. Includes faucet ledge with a 4 hole faucet drilling. Rear drains to allow for more storage below. Sink bowls are easy care satin finish and deck is bright mirror finish. Sink includes waste fittings and is backed with a Limited Lifetime Warranty.